It’s April and it’s just the right time to visit the biggest island of Greece and 5th biggest island in the Mediterranean sea – Crete. Actually, I’d say April is the best time to visit most of Europe – spring comes in full speed, flowers are blooming, the tourist crowds are less and costs are flight/hotel costs are at their low-season levels. Both Easyjet and Ryanair operate flights to the second largest city in Crete – Chania, from a number of major European cities. 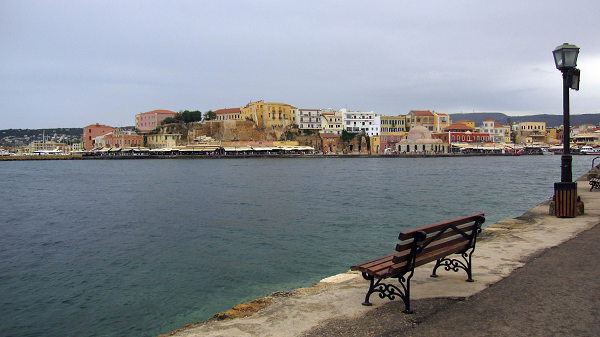 Chania is located in the more quiet northwestern part of the island and I’d say is a great starting point for exploring the island. It’s way cheaper to stay (+ there are lovely villas you can rent as a group or couple), the city itself has lovely Venetian architecture, you get quick access to the mountain gorges – simply perfect. And you can still reach any other point on the island within a drive of an hour or two. Being the southernmost among the Greek islands, Crete enjoys a pretty mild weather. It’s good to visit throughout the whole year, but November through Feb get a bit more rain. So, March through October is perfect. Avoid the generally crowded July and August, when you also get the strong local winds. With more than 300 days of sunshine annually on average, Crete is definitely primarily a beach destination. One third of its 350 beaches have received the blue flag recognition for purity of their water and the cleanness of the coastal area. 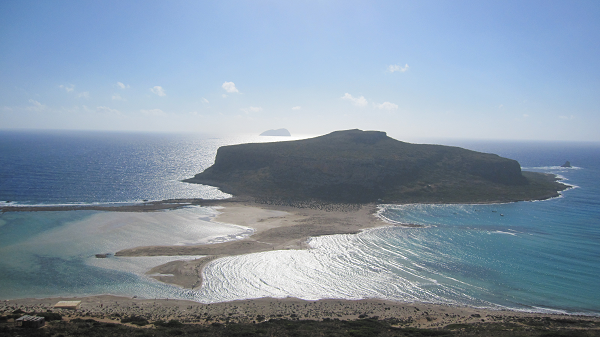 Balos lagoon and Falassarna are my favorites among those visited. Within 3-4 days on the island we did say a few cities, the biggest among which were Iraklion (the capital) and Chania/Hania (second biggest city, our base). The atmosphere in those is rather relaxed, the streets are covered with blossoming flowers, there are cafes and small shops scattered everywhere..the typical Mediterranean atmosphere! Chania is claimed to be the spiritual capital of the island, with a lovely Venetian architecture that remained untouched during World War II (Crete was an overseas colony of the Republic of Venice between the 1200s and 1600s) and an amazing seaside walking alley. 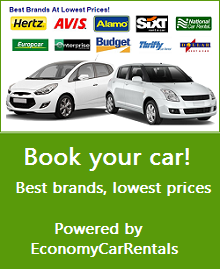 Crete is the biggest island of Greece and therefore can be best viewed by car. I really liked the many bays and picturesque sights opening from literally any part of the island. 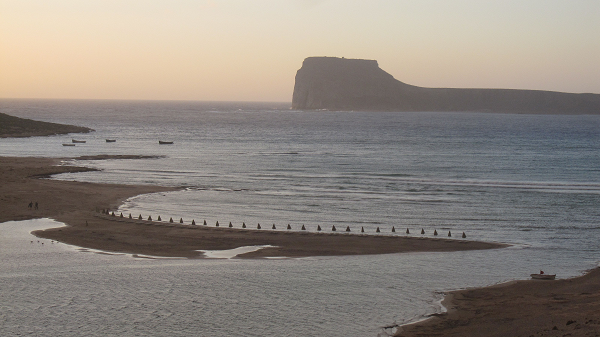 Balos and Mononaftis bay are just a couple of those you can enjoy. Few Greek islands offer vast opportunities for hiking and Crete is one of them. The famous Samaria gorge attracts thousands of tourists each year, but – it does require a fit shape (7-8 hours of quick walking) and good shoes 🙂 We did take the gorge of Agia Irini, which offered a pleasant hike amid fascinating rocks but still, required a good 7-8 hours for both directions (leisure walking). 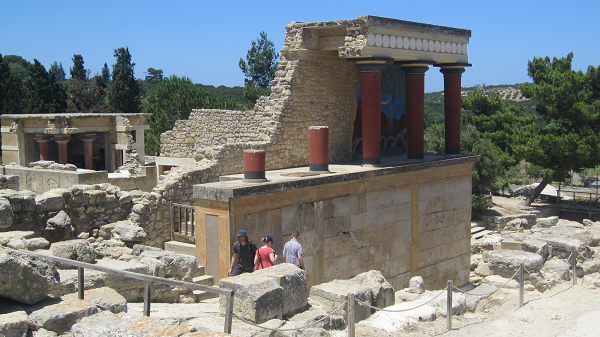 The Palace of the Minoan King Knossos is the most famous attraction on the island and no wonder – rarely can you see an archaeological site restored to such an extent. The restoration, made by the Oxford professor of archaeology Sir Arthur Evans has been a subject of vast discussions. The professor freely restored much more than is allowed for historical sites, and a great portion of that followed from his imagination on how the palace actually looked. Whether the palace looked like this or not, it’s very much worth visiting. Make sure to join a guided tour, very informative. Never been to the famous Greek island of Santorini? 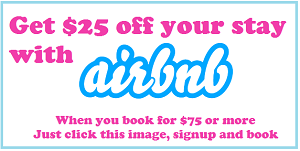 Grab your chance to visit it without the hassle and expensive stay on this island. From Iraklion you can take a fast ferry (Flying Cat, no cars) and reach Santorini in less than 2 hours. Spend 6-7 hours on Santorini and return with the same animal (the cat I mean ;). Or, stay a night to enjoy the lovely sunset and night atmosphere on the white house island. All in all – there’s literally something for everyone on Crete. So diverse, relaxed and I’d say, different than everywhere else I have been in Greece. The different cultures that used to dominate this island throughout its existence definitely left an impact on it and made it unique and – hard to forget. 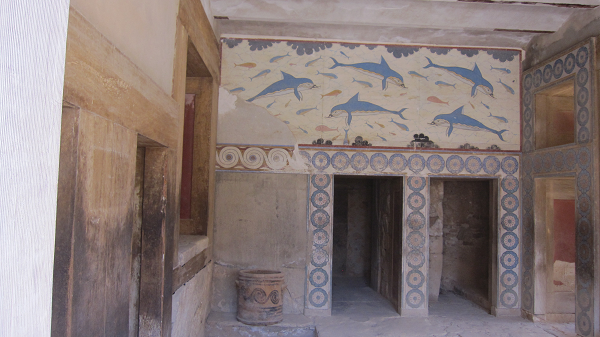 And if you want to find out what exactly you should visit on Crete within a stay of 3-4 days – follow my Facebook page and get notified when my What to visit on Crete blog post comes live. for me the top reasons are the ruins and the olive oil!